Perfect for a microfiber job, without the microfiber cost. Griot’s Garage Multi-Purpose Utility Towels might be one of the most versatile towels out there. Designed with a soft, flat weave, they can clean up just about any mess without leaving scratches or swirls behind. The 11x11 inch size is the perfect medium – not too large and not too small! Since microfiber revolutionized the car care market years ago, it’s been the most popular towel for all sorts of car related cleaning and detailing. There are specialized towels for everything! One for glass, one for wheels, one for paint, one just for black paint early in the morning the day after a full moon, etc. Griot's Garage Multi-Purpose Utility Towels can be used when you don't want to sacrifice your premium microfiber towels. 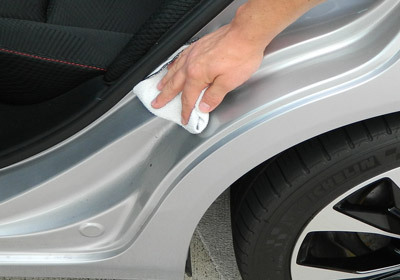 And if you’re anything like we are, you’ve found uses for microfiber in more than just detailing. Spill a drink in the kitchen? Microfiber towel. Stove a sticky mess after cooking dinner? Microfiber! Griot’s Garage Multi-Purpose Utility Towels are the perfect towels for when you don’t already have another dedicated towel to use. Does that make sense? Example: You’ve just found out some oil leaked onto your brand new RACEDECK garage flooring. You don’t want to use one of your premium microfiber wax removal towels, but that ratty old terry cloth towel in the corner is too harsh. Griot’s Garage Multi-Purpose Utility Towels would be perfect! Griot's Garage Multi-Purpse Utility Towels are soft enough for wheel care. Griot’s Garage Multi-Purpose Utility Towels are also more than just clean-up towels. 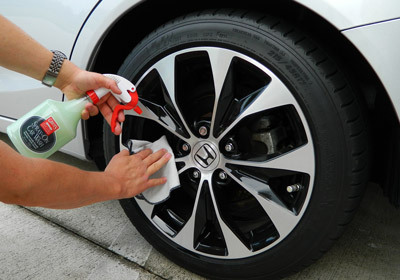 The small size allows them to reach tight areas on your wheels and lug nuts, in between door panels where the polish always seems to get stuck, and even for quick removal of product overspray. With 50 towels per pack, you’re paying right around $.80 per towel, making Griot’s Garage Multi-Purpose Utility Towels the one of the best values in microfiber towels! There are some detailing jobs that paper towels just aren't sturdy enough for and you can't stand the thought of 'ruining' a good MF towel. Here is the answer. Great for working in the engine bay or a mid-week cleaning of the brake dust off your wheels. Soft enough for interior work. Lint- free for cleaning glass. Toss them in the washer and use them again!